This week the meeting was held in the frames of Women’s History Month in the U.S. and the 100th anniversary of International Women’s Day. The speaker of the club, Kateryna Olender, prepared interesting information about extraordinary accomplishments of American women, who were shaping the course of American history. The stronger part of humanity, our participants – boys, took lead in the discussion. 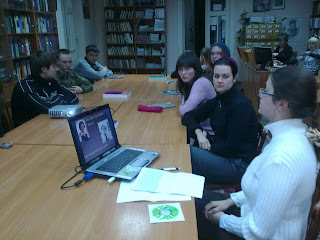 Our guest-speaker Amanda Norton was amazed on how Ukrainians are getting to know about the U.S. history. Amanda was really thankful to Kateryna for revealing the stories about a number of notable women in American history. The participants interacted in creating a scheme of a prosperous women in the nowadays society. Here the weaker part of humanity, our girls, took lead. 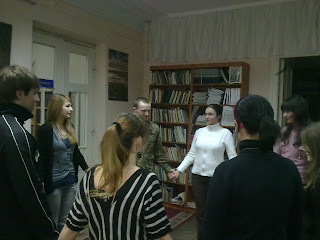 All the participants thanked each other for informative and creative class with applauds and ended the meeting, holding hand in hand and wishing something special to one another. 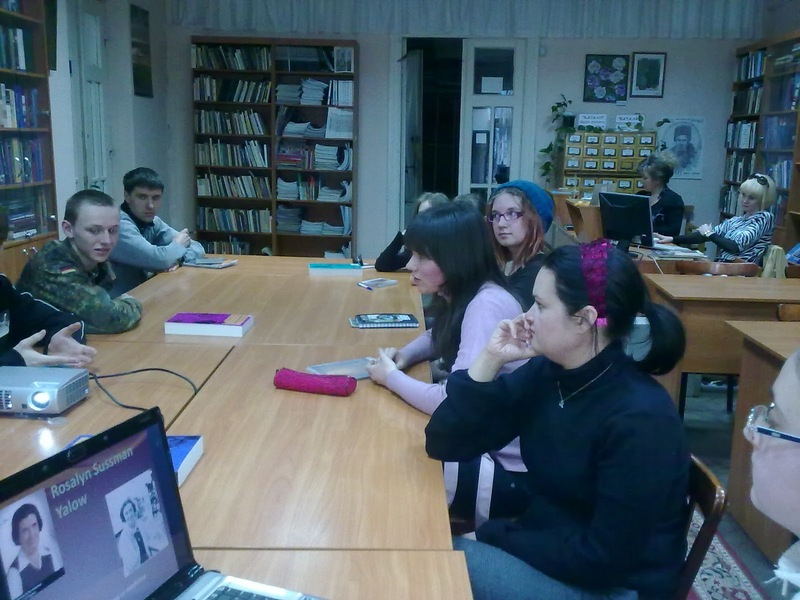 The number of participants – 12 (students – 6, pupils – 2, volunteers – 2, journalist – 1, librarian – 1). Next meeting will continue the women theme and we will talk about women’s rights. See you!